Are you inspired by a Japanese garden theme for your wedding day? 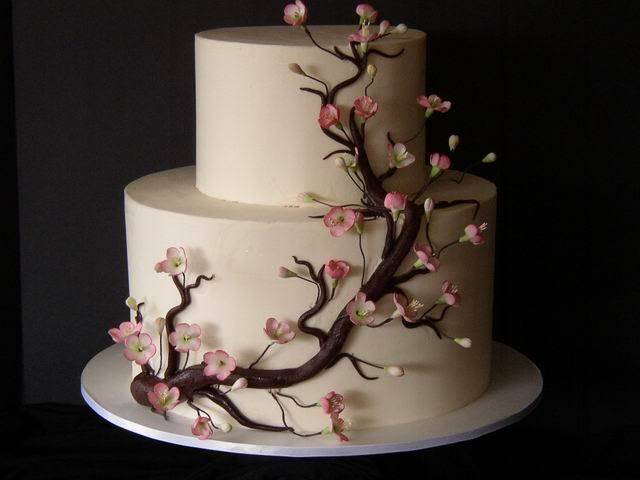 If you are thinking of the beautiful effect of the gorgeous cherry blossom why not consider these wedding cake pictures as inspiration for your own unique cherry blossom cake for your wedding day. 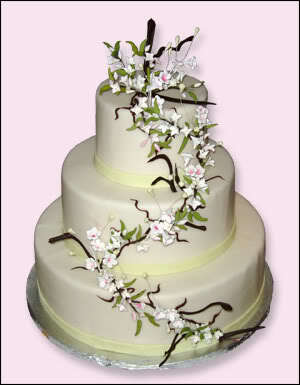 White cherry blossoms running up a three tier white round wedding cake. 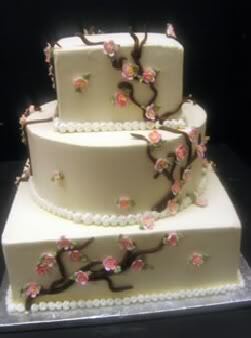 Pink cherry blossoms up a three tier multi shaped wedding cake. Gorgeous two tier round wedding cake in white with pink cherry blossoms. Beautiful structural 4 tiered square wedding cake with white blossoms. 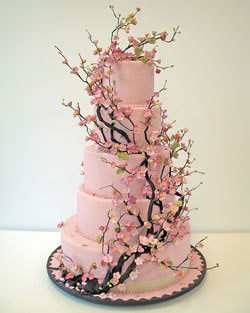 Stunning pink wedding cake with pink cherry blossoms. 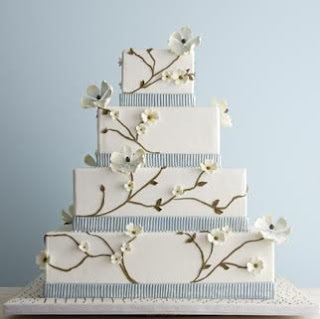 This lovely cake is great for that big wedding as it has 5 generous round tiers to feed your guests!